Complete your continuing education to renew your Texas real estate license today. All of our courses can be completed At Your Pace online in order to help you maintain your license. Once you finish your class you will have an official certificate of completion available and we will report your course completion to TREC for you automatically. 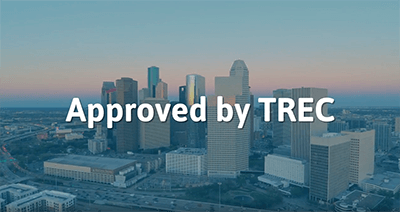 We are approved by the Texas Real Estate Commission (TREC Provider ID 10047). Most Texas Real Estate Agents and Brokers are required to take 18 hours of Mandatory Continuing Education (MCE) during their 2 year license term. CE is due before a license can be renewed. Each license type has different CE requirements, listed below. Agents need 8 hours of Legal Updates and 10 hours of Electives. Brokers need 8 hours of Legal Updates, 6 hours of Broker Responsibility, and 4 hours of Electives. Complete your CE requirements easily with this total package! It includes 18 hours of TREC-approved and required classes. In addition to 8 hours of legal updates and 6 hours of broker responsibility topics, we'll also discuss the ins and outs of working in a real estate brokerage, and techniques to ensure your safety as you practice real estate. This 18 hour package contains everything you need to complete your CE requirements! Along with 8 hours of instruction on legal updates and 6 hours of broker responsibility topics, you?ll get four hours of elective courses on Fair Housing regulations, property encumbrances, and different sources of financing to advise your clients on. This 18 hour package offers a simple solution to your CE needs. Approved by TREC, it includes the mandatory 8 hours of legal instruction, 6 hours of broker responsibility instruction, and 4 hours of elective courses on fair housing regulations, and practices to ensure licensee safety. This 9 hour package of educational content is designed to provide Texas real estate professionals with an overview of important topics and concepts. This package covers topics such as the provisions of the National Association of REALTORS® Code of Ethics, mathematics and real estate calculations, contracts, professional real estate activities, escrow, the closing process, and comparative market analyses. This 9 hour course is approved by the state of Texas to satisfy half of the CE requirements for current licensees. The course will cover a number of topics relating to the practice of real estate, including legal descriptions, encumbrances, titles and recordation, assessment and taxation, valuation, sources of financing, and more. This 6 hour course will fulfill your continuing education requirements for broker responsibility training, which will cover one third of the 18 hour CE requirement for license holders. This course will address the regulatory aspects of the management, operation, and supervision of a real estate brokerage firm in Texas. This class is a continuing education requirement for Texas licensees. In this course, we will cover recent changes to several critical areas of Texas real estate, including changes in the process for renewals of licenses, updated continuing education requirements for Texas licensees, fair housing and anti-discrimination laws, regulations regarding leasing and leasing agents, exemptions for service and support animals and descriptions of the differences associated with between the two, and the duties and obligations associated with property management, as well as presenting a number of detailed case studies, court case reviews, recommended exercises, and discussion pieces essential for all Texas licensees needing to stay abreast of the profession. This 7 hour course will knock out part of the CE requirements for licensees practicing real estate in Texas, and is perfect for ambitious licensees looking to manage a brokerage in the future. Topics we'll cover in this course include the supervision and management of a real estate office, and the employees that an office requires. We?ll also talk about the development of an office manual and policies, appropriate advertising, and how to keep financial records. This 7 hour package of educational content is designed to provide Texas real estate professionals with an overview of important topics and concepts related to the management of a real estate business. This topics covered in this package generally fall into three areas: management of real estate business, recordkeeping, and safety when showing a property. This class is a continuing education requirement for Texas licensees. In this course, we will cover recent changes to several areas of Texas real estate, including reviews of ethics in real estate (including a look at the NAR canons and Code of Ethics), a comparison of the roles of TREC as the governing entity and TAR as the private association in support of Realtors, working real estate transactions with members of LLCs, plus updates on fair housing and anti-discrimination standards, using the IABS, the role of the statute of frauds, the role of unlicensed assistants and what they are and are not authorized to do, and the Real Estate Recovery Trust Account and Fund, as well as presenting a number of detailed case studies, court case reviews, recommended exercises, and discussion pieces essential for all Texas licensees needing to stay abreast of the profession. This 3 hour course is approved by Texas to meet part of your continuing education requirements. In this course, we'll focus on the important topic of licensee safety. This includes how to identify threats and stay safe during showings, as well as liability considerations and how to keep yourself protected against liability. This class will provide licensees with 1 hour of continuing education to apply to their Texas real estate license. Subjects covered include the history of unfair housing practices that led to fair housing legislation, as well as some of the most recent executive orders regarding fair housing. You have been approved to offer the following course for non-elective continuing education (CE) credit. The expiration date noted above is valid as long as the provider approval remains current. In the event that the provider approval expires, all courses approved for the provider also expire and all course offerings should cease immediately. Education Providers and instructors should be familiar with Commission rules relating to education. If you have questions concerning education providers, instructors or courses, please contact an Education Specialist at education@trec.texas.gov or (512) 936-3120. 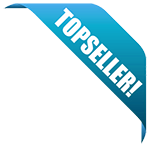 !!AYPORealEstate.com!! is approved as a CE provider for a two-year term. A renewal notice will be sent to you 90 days prior to the expiration of this two-year term. Failure to receive a renewal notice does not relieve a CE provider of the responsibility to timely renew by submitting another CE Provider Application. CE providers are regulated by Subchapter G of the Rules of the Texas Real Estate Commission and Chapter 1101 of the Texas Occupations Code. TREC approved CE providers and appropriate staff must become thoroughly familiar with the rules and statutes governing the presentation of courses, advertising and recordkeeping. Section 535.75 of the Rules of the Texas Real Estate Commission provides guidelines for reporting course completion. CE course credit should be posted electronically through the use of the CE posting System. Courses must be posted no later than 10 days after course completion. Required forms are available on the TREC website at www.trec.texas.gov. 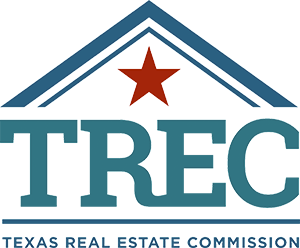 The TREC Advisor is a bi-monthly publication that provides information and updates to Texas real estate license holders, education providers and instructors. Access the TREC Advisor through our website by clicking on the "News & Public Data" tab. Please call 512-936-3000 if you need assistance obtaining this publication. If you have questions regarding your CE provider approval, do not hesitate to contact an Education Specialist at 512-936-3120. The expiration date noted above is valid as long as the provider approval remains current. In the event that the proviuder approval expires, all courses for the provider also expire and all course offerings should cease immediately. The expiration date noted above is valid as long as the provider approval remains current. In the event that the provider approval expires, all courses for the provider also expire and all course offerings should cease immediately. You have been approved to offer the following course for elective continuing education (CE) credit. You are approved to offer the following course for elective continuing education (CE) credit. The expiration date noted above is valid as long as the provider approval remains current. If your provider approval expires, all courses approved for the provider also expire and all course offering should cease immediately. Please note the course title and course number. This title and nukber should be used in all advertising. The expiration date noted above is valid as long as the provder remains current. In the event that the provider approval expires, all courses approved for the provider also expire and all course offerings should cease immediately. Please note the course title and course number. This title and number should be used in all advertising.